A convertible laptop also known as a hybrid laptop is a laptop that can function as a laptop and a tablet. This means that you can detach it and use it via touch screen interface as a tablet and when put together you can use the keyboard as a laptop. Shop for the best detachable laptop online with Jumia Egypt. Here, we have detachable laptops from brands such as Dell, HP convertible laptop, Lenovo, Acer, Toshiba and Cherry. 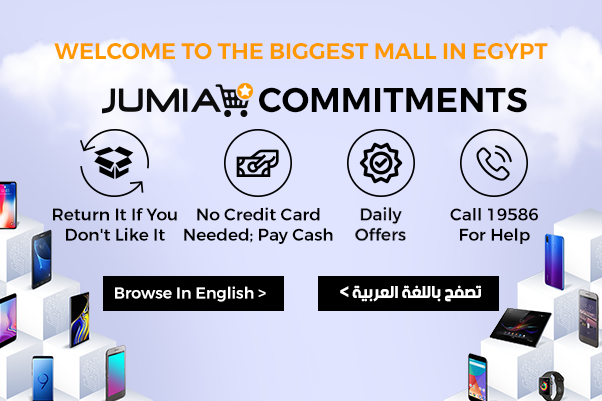 With Jumia Egypt, you don’t have to leave your office desk or house, you can just order your laptop online and have it delivered to an address of your choice. A convertible laptop is sometimes referred to as a 2 in 1 laptop because it can be converted into a tablet. To convert to a tablet: rotate, pivot or flip the screen, and to turn it back to a laptop, you just unfold back and use it the way you would use a laptop. A laptop with a detachable screen is ideal since you do not have to carry two devices all the time. When shopping for a convertible laptop, consider specifications such as size, storage space or the processor just like you would when shopping for a normal laptop. Shop for your favorite convertible laptop from the number one online mall in Egypt. Get the best prices and enjoy our great discounts when you shop for the detachable laptop here. Discover, also, a large variety of other laptops and their accessories. We guarantee you the best prices and the most convenient payment options.